United Progressives Party (UPP), Thursday accused the ruling All Progressives Congress (APC) of defrauding and trying to divide Nigeria as a nation. National Chairman of the party, Chief Chekwas Okorie, who spoke in Awka at the National Convention of the party, insisted that the ruling party had failed to make good its promises of bringing change, thereby, defrauding Nigerians who gave it votes based on that promise. 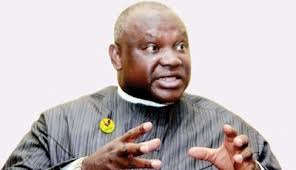 Okorie, who described his party as the most credible opposition party in the country today, devoid of rancor and factionalisation in the foreseeable future, reaffirmed the party’s policy to zone its presidential slot to the South-East geopolitical zone for the 2019 general elections. While expressing support for the use of the Electoral Voting System, he commended the Independent National Electoral Commission (INEC) and the National Assembly for their commitment to the process. Okorie noted that it would ensure credibility and transparency of the electoral process.